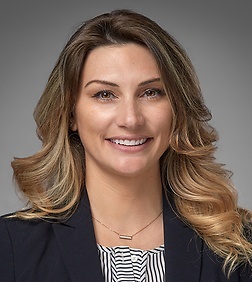 Jessica R. Gross is an attorney in both the Privacy and Cybersecurity and Labor and Employment Practice Groups in the firm's San Diego office. Jessica assists the Labor and Employment Group with a range of issues related to employee privacy, including background checks, device and social media use policies, and other employment agreements such as proprietary innovation and information agreements. Given Jessica’s technical background, she is also able to assist in trade-theft secret investigations and matters. Jessica also supports the firm’s eDiscovery needs and other general litigation matters. Managing complex electronic discovery issues can be daunting. Jessica can assist litigation counsel and trial teams with the collection, production, and presentation of electronically stored information. As a former judicial law clerk for a federal magistrate judge, Jessica is well-trained to effectively and efficiently manage discovery obligations and to resolve discovery disputes in motion practice if necessary.